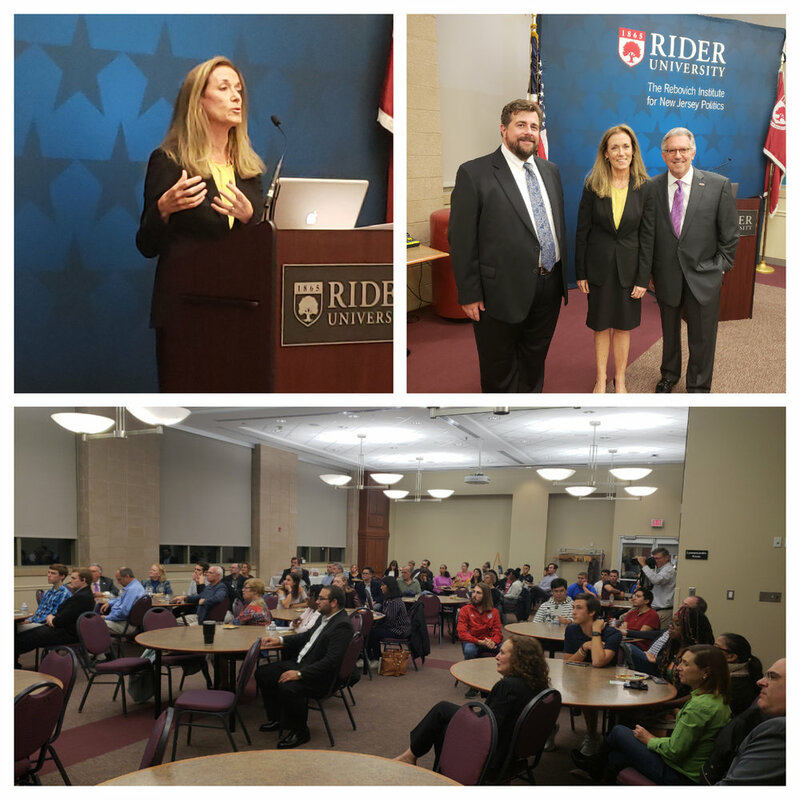 Last night Garden State Initiative’s president, Regina M. Egea, had the opportunity to address students and members of the community at The Rebovich Institute for New Jersey Politics at Rider University on her career in business and government along with the work that Garden State Initiative is doing to improve the dialog on economic policy issues facing our state. The presentation from Ms. Egea was followed by a lively Q&A session which touched on topics from the state’s pension crisis to opioid epidemic and Ms. Egea’s tenure as Chief of Staff to former Governor Chris Christie. Thank you to Rider University President Gregory G. Dell'Omo and Micah Rasmussen, Director of the Rebovich Institute, for the warm welcome and great conversation with the outstanding students at Rider! For more information on having Ms. Egea address your organization, please contact William J. Smith at wsmith@gardenstateinitiative.org.